14 tailor-made days in Kerala that offers you a little soupcon of everything Kerala has to offer and the time to enjoy it. 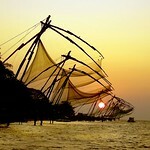 Cochin, Houseboats, Hillstations, Backwaters & Beach. This is one of our most popular tailor-made itineraries for Kerala, ideal if you want to sample the best of this amazing state. 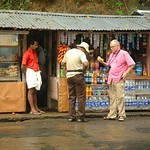 The tour includes air-conditioned transfers, good accommodation and, as always, delicious Kerala food. Remember: This is what we call a Tour Template. You want something similar but different? Ask us, and we will will whip one up for you! You are welcomed with a warm smile by your KarmaKerala representative at Cochin airport . He will brief you about your holiday and get familiarized with your driver. The holiday starts here. 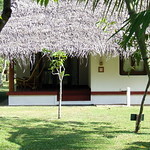 We will take you to your accommodation in the historic area of Fort Cochin. Today you can relax after your long flight or take short walks along the colonial streets. Spend your evening with a kathakali dancer. Arrive early to watch the makeup session. The elaborate costumes and an innovative style of story-telling will keep you intrigued. Fort Kochi is best explored on foot. Even a tuk tuk can take you to interesting places or narrow roads. Our English speaking guide will assist you and share interesting stories about the area and landmarks. St. Francis Church, Dutch Palace and Jewish Synagogue will be the highlights of your tour as it tells a lot about the place. Invade some of the spice shops. Your tour will be over by noon to avoid mad dogs and Englishmen in the midday sun. After a short nap, walk in to Kashi Art Cafe . You might get to meet one of your old friends. Later if you have time, walk to the beach with local crowd. 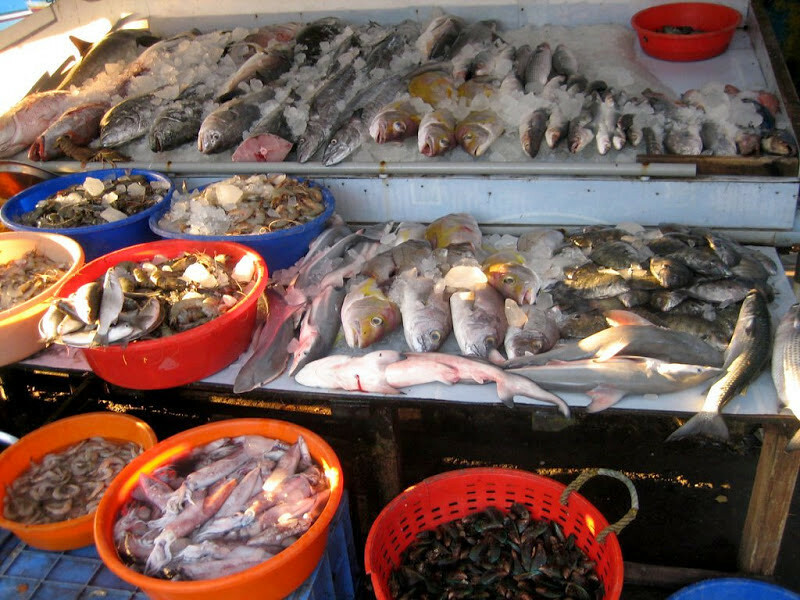 You will be surprised by the variety of fishes they sell. Most of them you have not seen. join a local country boat man who can take you to watch sun set or along the shipyard. While watching sunset, try a cone full of hot roasted peanuts from the street vendor, who will sure visit you. It will be memorable to have Jewish dinner at Menorah, the famous Jewish restaurant at Koder house, just next to the childrens Park. Late breakfast, drive down to Alappuzha, a popular backwater destination. 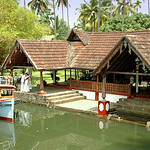 The temperament of Alappuzha is very rural, and you will cruise on a traditional Kerala houseboat to enjoy it fully. On your cruise with a traditional kerala lunch on banana leaves. (Banana leaves enhance the flavor and save on washing up!) 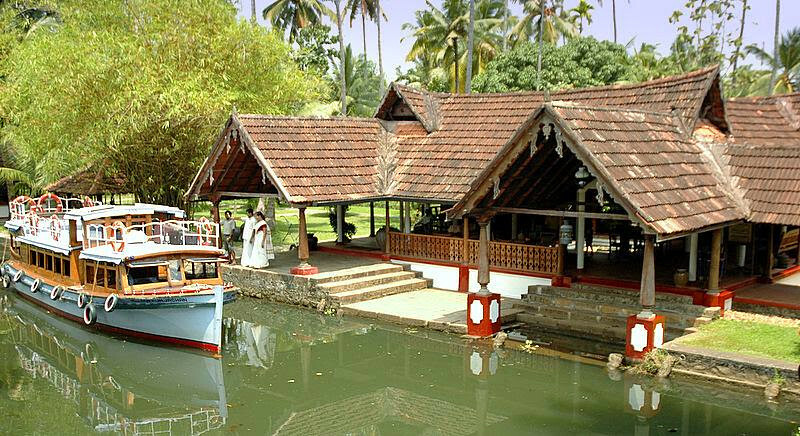 You will get to see many unique features of the backwater as your houseboat motors along the canals and river systems that make up the backwaters. Try counting the huge flocks of ducks waddling while children diving into the waters and women washing clothes are some common sights. 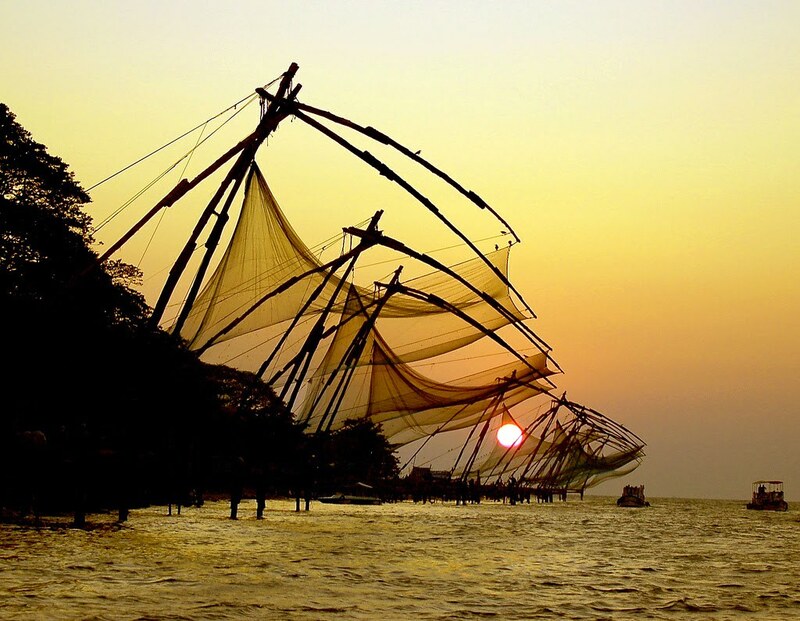 If you feel like it, you can try your hand at fishing while we are anchored - you might catch a pearl spot which is unique to the backwaters but through its genetic map is proof that India was once connected to Mauritius across the Arabian Sea. The captain can take you to shallow water so that you can have a swim too. Buy fish from floating markets. 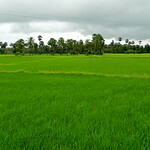 Visit paddy fields, houses, schools, church, temple. 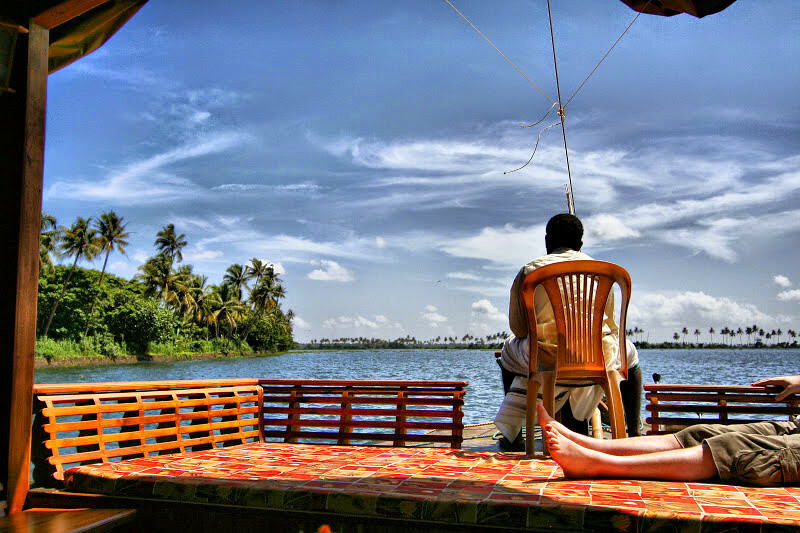 You will sleep overnight on the houseboat before we drop you in Kumarakom the next day. 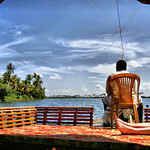 The boat will drop you at your backwater resort at Kumarakom Village. 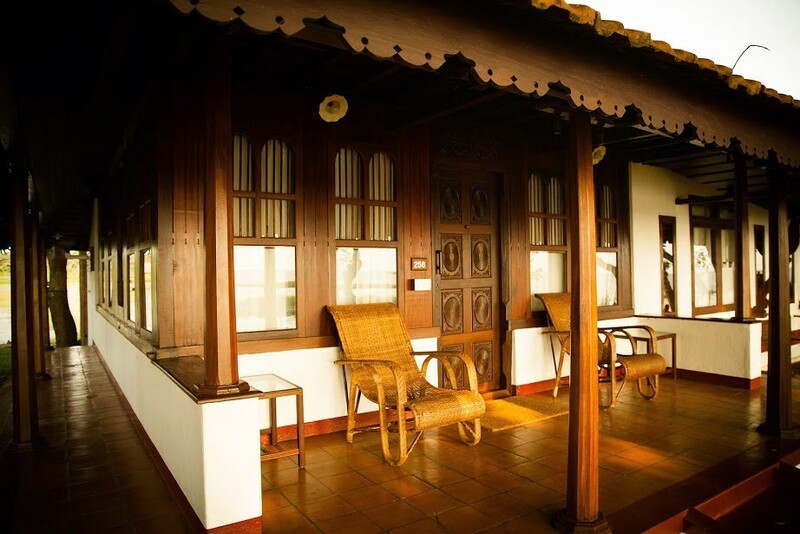 Kumarakom is a great opportunity to experience the pulse of Kerala. 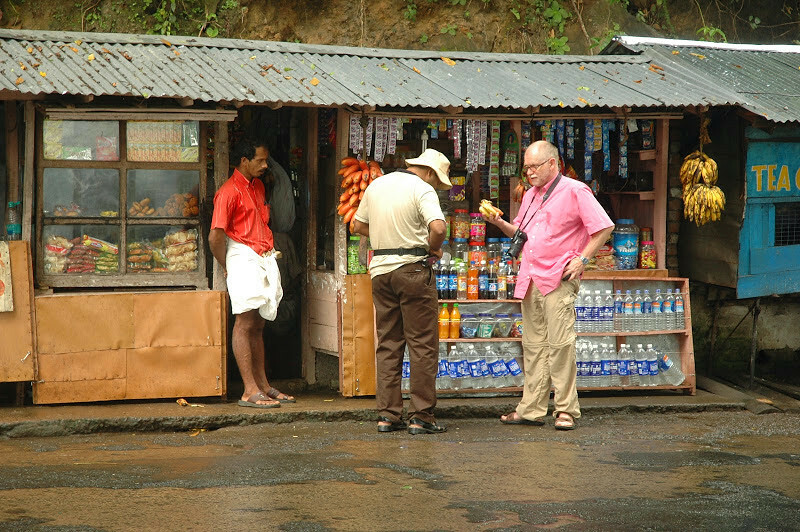 You can take relaxed strolls and stop to chat with the curious bystanders - Keralan's spent a lot of time simply standing around watching the world go by and staring at all and sundry. You can borrow a bicycle from the resort and pedal through the landscapes and experience the beauty of the countryside. Stop at places to talk with locals and children. Watch the toddy tappers climb up the trees and sample some toddy, a sweet-tasting local beverage. Visit the bird sanctuary in the morning. 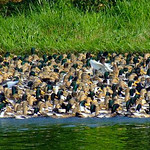 Salim Ali’s bird sanctuary will be interesting between November to February to watch the many migratory birds and then in the afternoon take a tour to the Kottayam town to visit old temples, churches and to the local markets. Take a short ride by public boat service. It is more lively. A walk along the narrow pocket roads in the town will take you to small and beautiful villages. 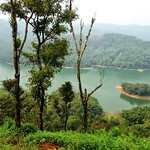 Drive up to Thekkady/Periyar, which is famous for its wildlife sanctuary. You will pass through plenty of villages. 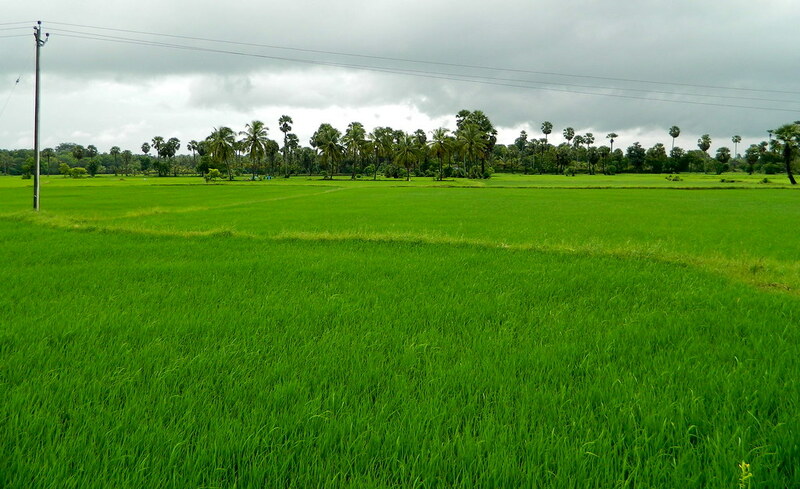 Even though the cities have changed, villages and people have not lost their slow rural charm. Stop at spice gardens or tea estates. A masala tea will be a welcome break for you on this 4 hour drive. Dont forget to do some spice shopping for cheap prices for very fresh and tangy spices. One of the largest wild life sanctuaries in India, Periyar is visited by tourists to watch the animals in their natural habitat. You can take boating trips in the early or late hours to spot these animals. 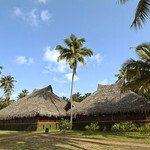 Go for nature walk in the morning, or to a tribal village assisted by a guide and discover a horde of flora and fauna. Evening do elephant ride and visit spice plantations. Or to the vineyard in the neighbouring state of Tamil Nadu which is just over the mountain peaks. 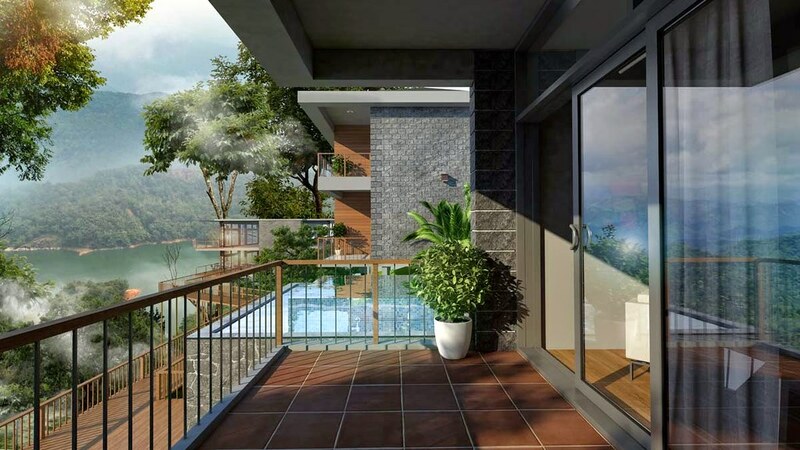 Situated a three hour drive from Thekkady, Munnar is an idyllic tourist destination. The picturesque landscapes, mountains, tea gardens and the nice weather add to its romantic appeal. 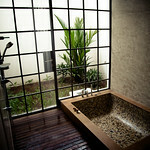 This spot is a favourite among the honeymooners and couples on a romantic getaway. Munnar has a lot of unique things to offer. Visit Rajamalai, a wild life reserve which is around 16 kms from Munnar. You can spot the Tahr, a rare indigenous mountain goat, and many other species of animals here ( feb to april closed for calving). Tea museum. Visit Indo Swiss Dairy Farm is a little ahead of Mattupetty lake is famous for around 100 varieties of cattle. Top station for stunning valley views. Early morning hot tea at tea shop in town. After having a late drive down to Marari beach, which is five hours away. try learning to make cane basket from the road side weavers. You will be tired when you reach the beach. Relax at the beach. Enjoy a fresh coconut before retiring to your room. 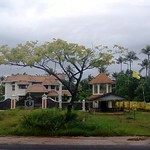 Departure to Cochin airport with loving memories of your holiday. Rather believing in publishing rates, we believe in negotiating the best deal for you. We can quote you on this exact tour but we can also change it to suit your needs and special interests. This is just the starting point and we will revert to you with extra questions. 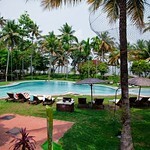 Luxury boutique styled hotel close to Fort Cochin beach! The new boutique hotel from CGH group in the centre of Fort Cochin. 2 minutes walk from the beach. 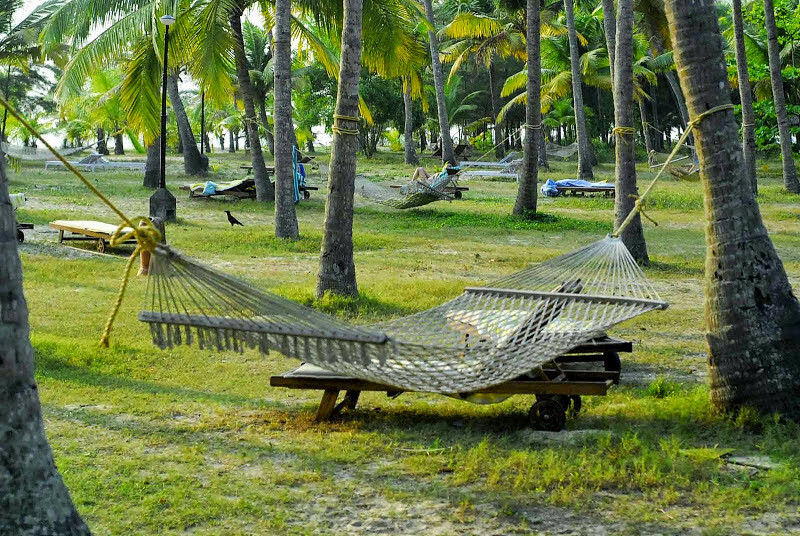 Coconut Lagoon in Kumarakom is the first resort of its kind in Kerala. 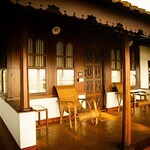 It is still renowned for service, ambiance and for a thrilling sense of Kerala. 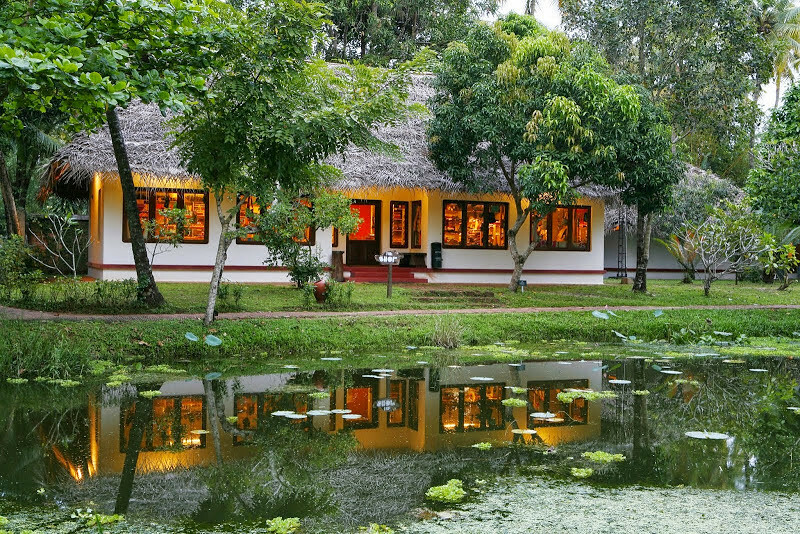 Beautiful rooms, food, canals and gardens make this many people's favourite Kerala hotel. 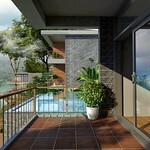 Tranquil and jungle like with focus on comfort & environment. Spice Village is Periyar's most charming resort with lush gardens, individual cabins and a passionate attachment to ecological methods. 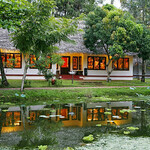 Probably the best hotel in the Thekkady area. 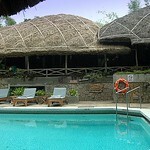 It is not often that a resort manages to bring luxury into a hill station of forests and lakes with refinement. Ragamaya does this with much finesse in Munnar. This premium luxury spa resort is located between reserve forests on one side and the lake on the other. 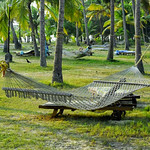 Marari Beach Resort in Mararikulam, Alappuzha is the original and still the best among other Beach Hotels in the area. 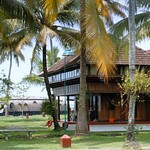 If you fancy a few days beside the sea, very close to Cochin, then this is the one. 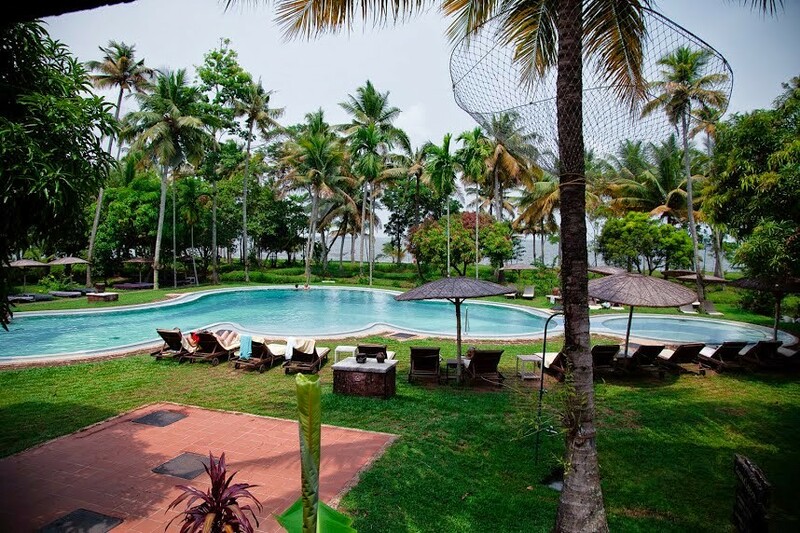 This beach resort at Marari is spacious, unpretentious and refined. 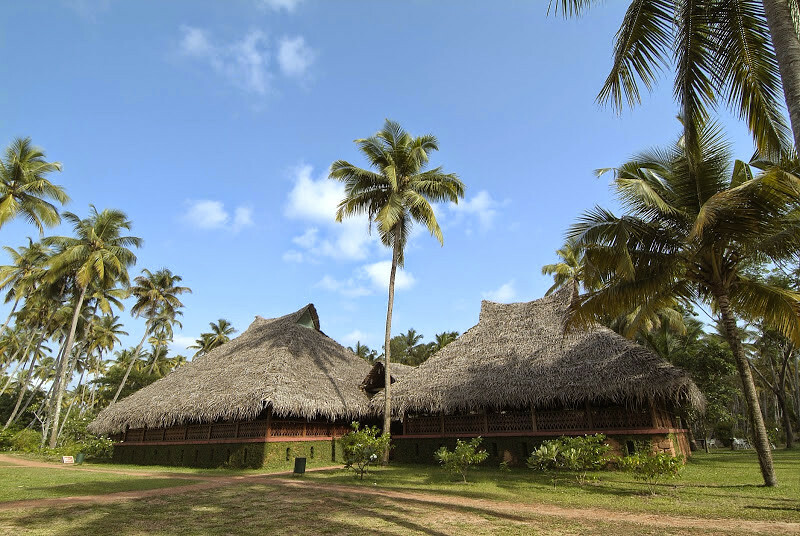 The resort spans across 55 acres of beachside property and offer the best service and comfort along with a beach bar shack! Kerala is rich in many local art forms such as Kathakali, Mohiniyattam and Theyyam. 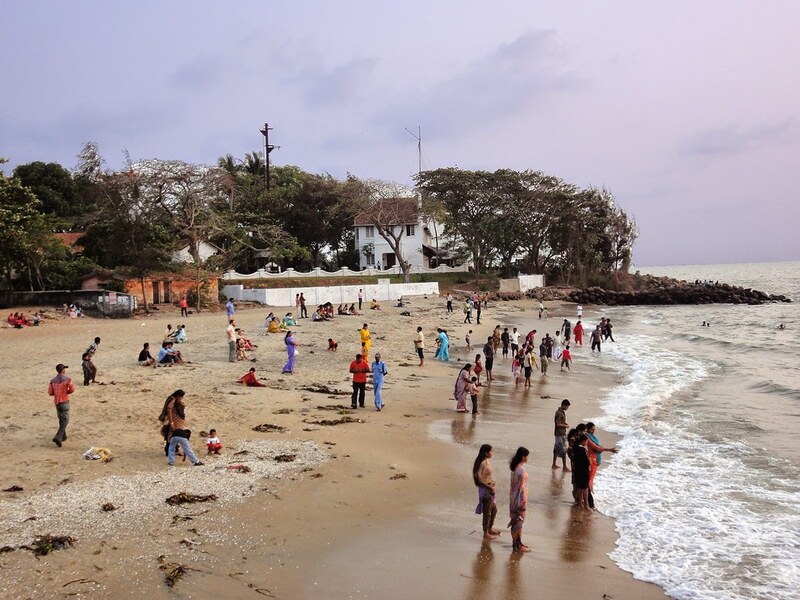 Kerala has some of the best beaches in the world. Visit the innumerable islands or sail through the lagoons. 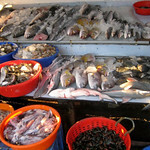 The recipes are many and the catch includes prawns, squids, mussels and fish. You will surely love the tasty dish made of mussel and rice flour, cooked in the shell. The Churches and mansions built by British, Dutch and Portuguese 500 years ago in their own vivid architecture skill greet leisure-walkers here. The only place in the world where farming is done 1.5 to 2 meter below sea level. Relax in the mind and streamline the body. 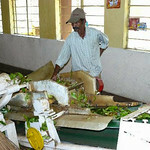 Ayurveda, the science of holistic treatment has its origin in Kerala. Discover tea in all its glory, from the healthy green tea to the elite white tea to the strong tea and more in the high ranges of Munnar. A scenic drive from the Nature reserve to unending tea estates. 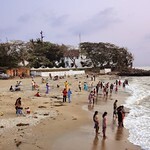 Drive down from the tea estates to a sunny beach.